I’ve really tried to up my game in terms of reading more YA books this year. 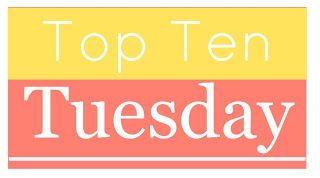 That’s what made this week’s top ten tuesday, hosted by The Broke and the Bookish, so difficult. It was (almost) impossible to narrow them down to just ten books. Anyways, here is my best shot. I enjoyed all of these books immensely, and hope to find more like them in 2014! What are some of the best books, YA or not, that you’ve read this year? This entry was posted in Uncategorized and tagged 2013, books, young adult books by Alison Doherty. Bookmark the permalink. Thanks Crystal. I really need to start the Shatter Me series. If you liked The Summer I Turned Pretty, then I would definitely suggest Burn for Burn, which is co-written by Jenny Han. Fangirl is everywhere – I guess I need to read ASAP. My favorite YA that I read this year though was Seraphina. Great list! Fangirl was probably my favorite read of the year. I haven’t read Seraphina, but I will definitely check it out! Great list. You’ve got some really amazing books on your list. I really need to read some Rainbow Rowell this year, have heard nothing but good things about all of her books. Happy New Year 🙂 My TTT. Couldn’t recommend Rainbow Rowell more! Happy New Year!